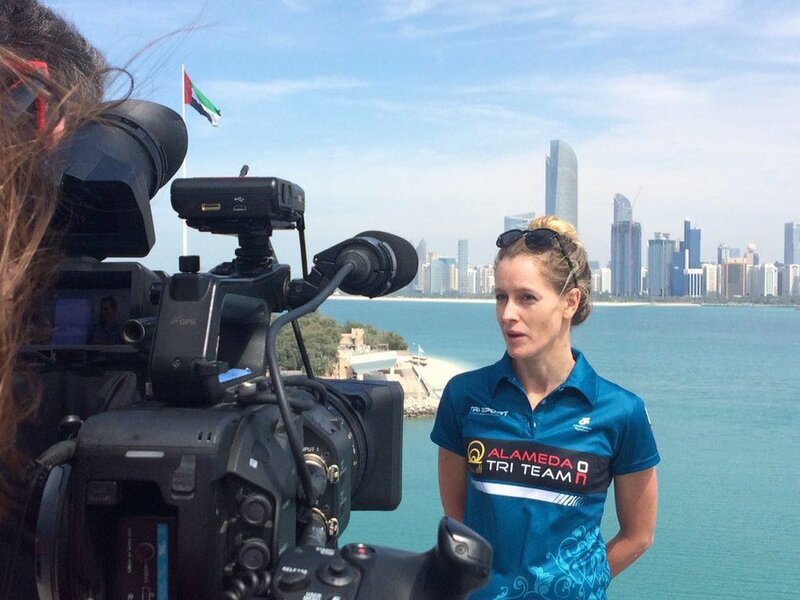 I travelled to Abu Dhabi for the opening race of the ITU World Series last weekend. Winter training has gone exceptionally well, with me showing much improved strength on the bike and the speediest swimming I've ever been clocking. Unfortunately for me, none of this reflected in my race on the day. You can train as well as you like but it's the performance on race day that matters. So what went wrong? I initially thought I'd just not been aggressive enough to the first buoy. However, after doing some post race analysis and watching the swim footage, it seemed that I'd decided to follow the girl in front of me at the first buoy, making a sharp turn in the wrong direction. We both corrected ourselves but, in turn, losing quite a few positions and instead of being in a nice top 20 position come the proper turn buoy, I was caught amongst the back swimmers. Not ideal! I missed the main pack, race over! I spent the next few days feeling very frustrated with myself. However, the positive is that what I did is easily fixable - be more aware! I'm super excited to race again soon and to really go out there and put in a performance reflective of all the hard winter training. The funny thing too, is that this 'blip' has made me much more motivated than ever and I know that I am dangerous when optimally motivated and stimulated. They say everything happens for a reason huh! Apart from the race itself, I had a wonderful time in Abu Dhabi. I am part of the Alameda O.N Triathlon team. One of our aims is to increase awareness and promote growth of triathlon in the Middle East & Africa. It was amazing seeing so many age groupers competing as well as junior athletes. We also had some of our own Alameda O.N development athletes racing and they managed quite a few podium spots between them, which is just fabulous. Congrats must also go to my fellow countryman and woman - Rich Murray on his 2nd place, what a season opener....& Mari Rabie finishing well up the field, wonderful to have Mari back racing in strong form. Hopefully it will be a successful year for all of us South Africans. It was sad to leave the beautiful sunny weather of Abu Dhabi but I was also glad to return to my training base in London to get some perspective and put my head down again for my next race. I'm excited to see what that will bring...time for me to unleash myself into 2016! Newer PostCan Mental Toughness Be Trained?